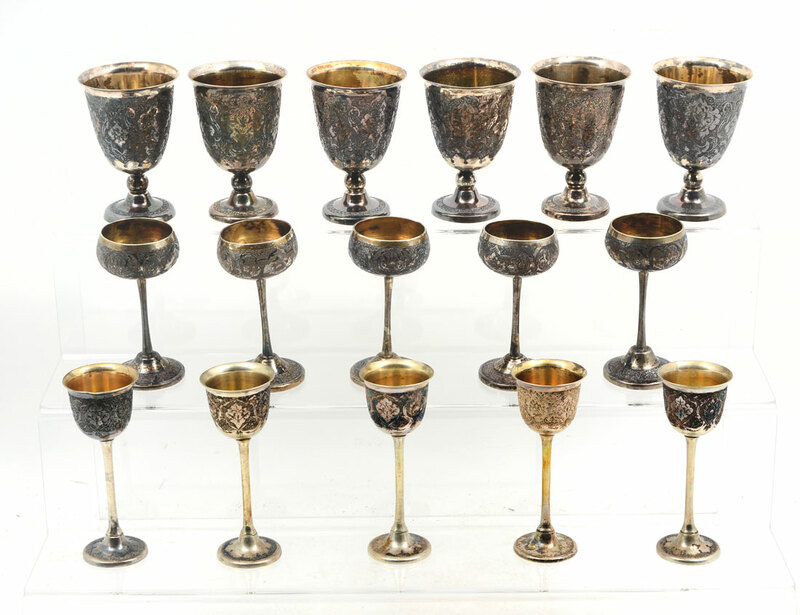 COLLECTION OF ENGRAVED MIDDLE EASTERN SILVER CUPS: An assembled collection of 16 pieces total, assorted sizes and shapes, unknown Arabic silver hallmarks. 6 cups also stamped 84. Tallest cordial 4'' h. Approx. 32.2 troy oz. 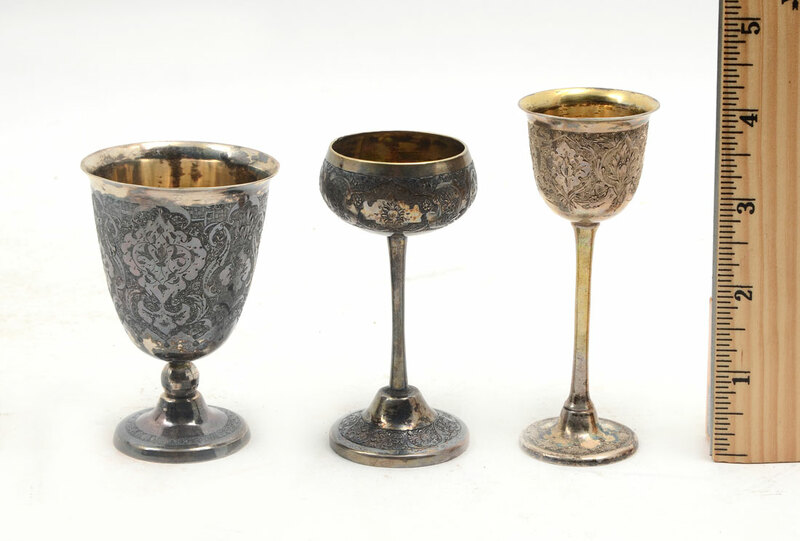 Actual silver content unknown.